Alumnus Bryan DeLuca (’04, music business) will appear on ABC’s “Shark Tank” this Friday, October 9 at 8 p.m. CST. 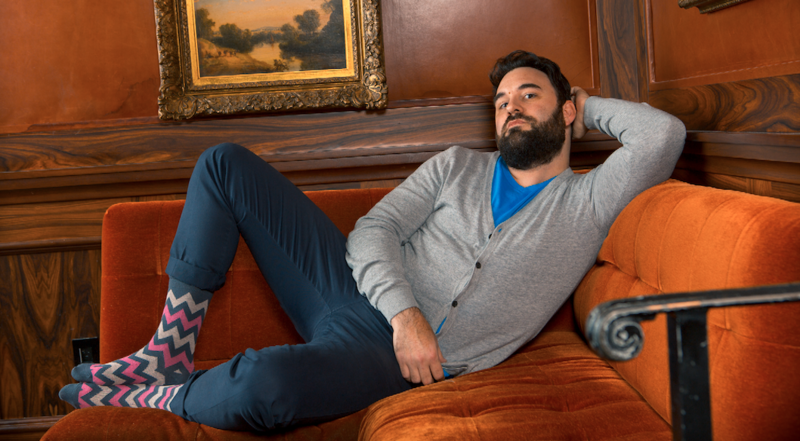 DeLuca is one of four founders of Dallas-based e-commerce site, Foot Cardigan, a monthly subscription service that sends uniquely designed socks directly to subscribers’ mailboxes. The company offers one pair of socks per month for $9, and sales are expected to exceed $1.5 million this year. Subscribers do not get to choose the socks they will receive, but the company ensures customers will love the fun prints and designs. The company, which currently boast 8,000 subscribers, wants to expand, and “Shark Tank” provided a perfect opportunity for the entrepreneurs to pitch their product to the potential investors Mark Cuban, Daymond John, Lori Greiner and Kevin O’Leary. According to a recent story in The Tennessean, a trip overseas inspired DeLuca to launch the company.